(Brisbane, AU) - An aspiring candidate has to overcome many serious challenges in order to become the President of the United States. 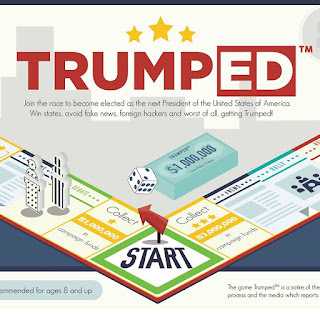 This glorious yet extremely intriguing path is transferred to a unique board game: Trumped. 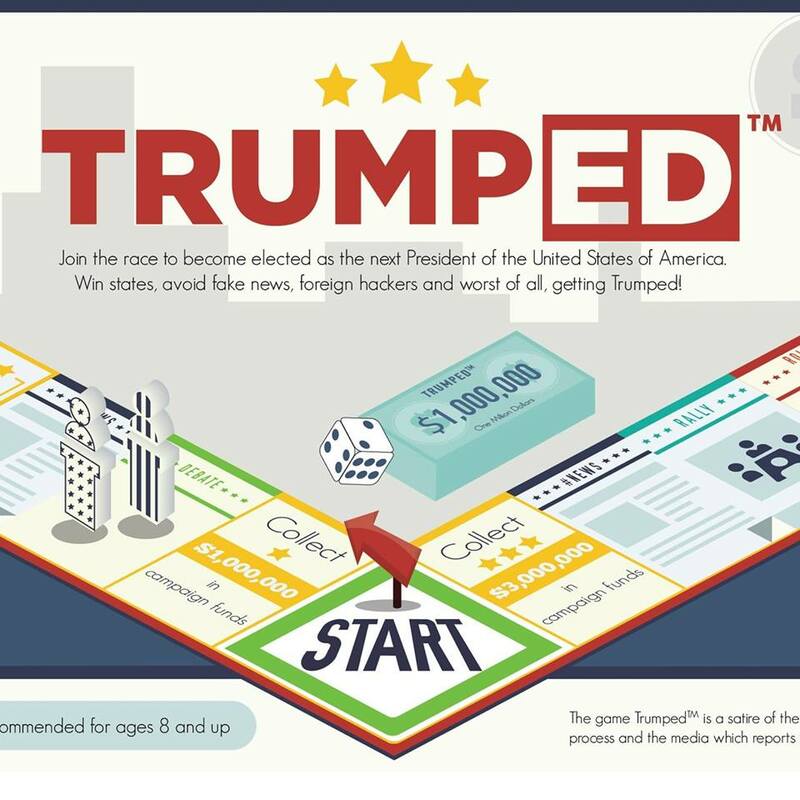 Players aged 8+ will have a mind-blowing experience with Trumped, the board game. The aim of the game is to win the most amount of states before the election time runs out or until they reach the magical number of 26 states under control, without getting Trumped. What is getting Trumped? It is when the least expected candidate takes the lead. Date : 6/11/2017 11:21:00 μ.μ.